Today I’m remembering the day I saw Amanda, my middle daughter, walk outside with Emma in her backpack. I started laughing so hard I almost wet my pants. I had tears flowing from my eyes. I still have no idea what ever possessed the two of them to put Emma in the backpack in the first place, but it was genius. Honestly, the best part of having kids is watching the strange things they do. I like it even more when I can get pictures of it. Then, best of all when I can send the pictures to my sisters. These sort of things cannot be kept to oneself. Something this great needs to be shared. The backpack worked out so well they decided to put her into Amanda’s suitcase. 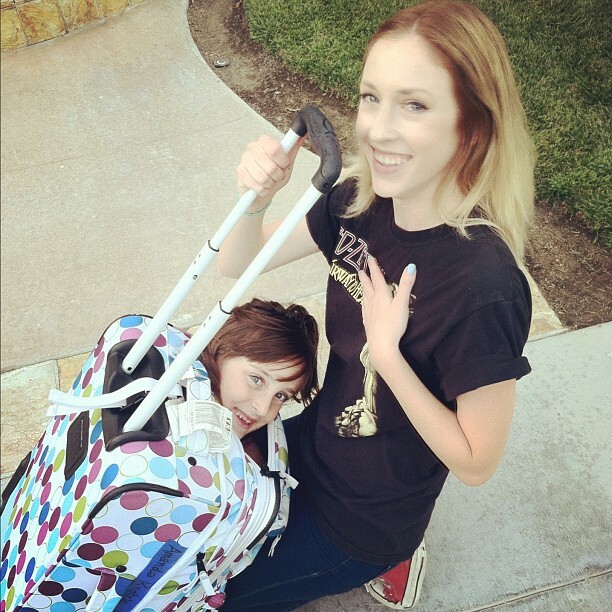 So nice that Amanda could roll her little sister around the neighborhood for all the neighbors to see! My favorite part was when Amanda told me a neighbor said hi to her from across the street, and asked her if she was going somewhere… Then, that moment when the man realized a little girl was in the suitcase. The awkward silence as Amanda just kept walking on down the street. When I think about all the stuff I miss about my kids all living under the same roof, I miss the laughing most. I also miss Emma being small enough to fit in a suitcase.